Hey Mike! Can you tell us a little bit about how you got started and what you’re all about? 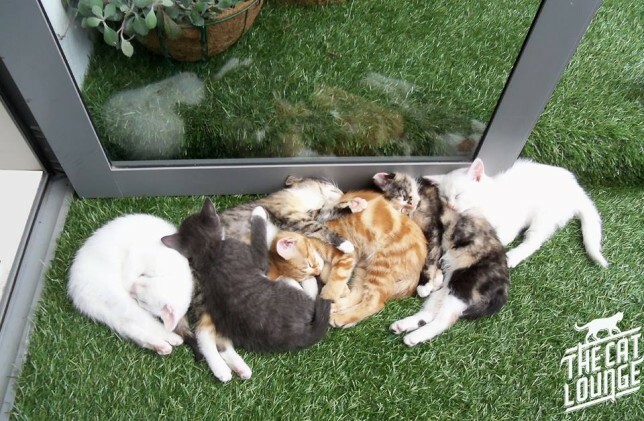 I first heard about cat cafés around 5 or 6 years ago. A friend of mine had visited one in Japan, and even went to Cat Island. The photos were amazing and it seemed like great fun. 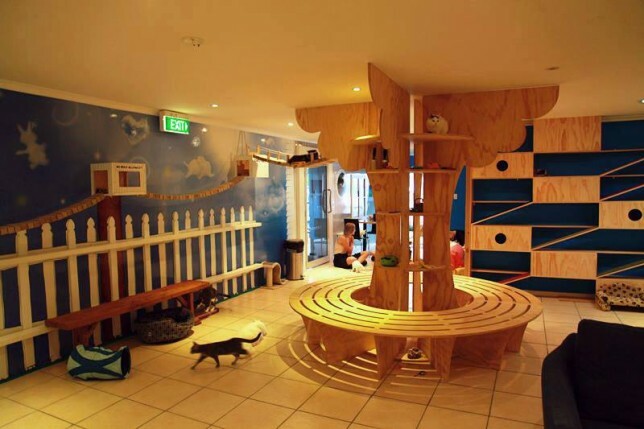 Nothing like it existed in Western culture at the time, but in late 2014 a cat café appeared in Melbourne and reached the New Zealand newspapers. Since we had nothing like this at home, the idea came up again and after much discussion Vicky and I decided to launch New Zealand’s first cat café. What’s your local community like, and where does your passion come from for what you do? We get so much support from the local community, and have regular visitors coming in a few times a week to get their cat-fix. It’s so nice to see complete strangers bond over their love of cats and share their own animal stories. We’ve had a few community groups for people with disabilities come to visit, and seeing the smiles on their faces has been so rewarding. We’re also working with rest homes to offer them discounted rates, and regularly donate unsold food to the salvation army because… why not? It’s for a great cause and requires little effort on our part, but makes such a difference to people’s lives. Bringing cat cuddles to people and making them smile brings us into work every day. The Cat Lounge is a huge change for us as we get to be our own bosses now – which is awesome! And working with kittens is not a bad way to spend the day at all. Vicky was searching for a POS system that was reasonably priced and didn’t require a huge, locked-in contract. She researched a number of options, and talked to other retailers using Vend to make sure it was intuitive, would talk to our Xero account, and could record our sales history. Vicky had always been a Samsung user, and was a bit reluctant of the iPad Register at first. But after having a play around on another user’s system she was convinced, and has since gotten over her disdain for “iThings”. Using the iPad register looks sleek on our counter, and works great with the wireless EFTPOS, bluetooth printer, and cash drawer. And Vend is really simple to use. One of our staff has been able to take ownership of the system and look into things for us as needed. What’s your best retail tale (or tail)? Though we’ve only been open a few months, the most memorable one to date would be when a gentleman brought in his own cat. It was even dressed up and on a leash! Apparently he takes the cat everywhere. And it had a bit of a Grumpy Cat face, so we’re not sure how enthusiastic it was about these expeditions. Customers can’t actually bring cats into the café area due to health concerns, so he had a cup of tea and a snack outside with the cat sitting at his feet. We brought him some Friskies treats and invited him back to see us when he didn’t have his feline companion in tow! 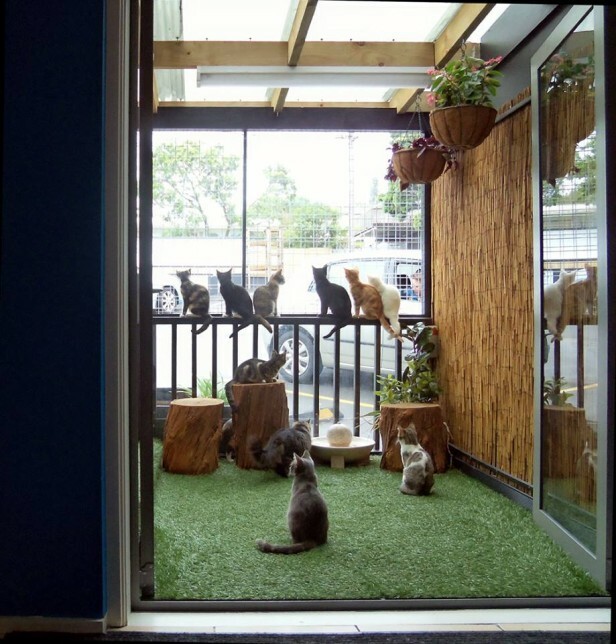 The post Vender of the Week: The Cat Lounge appeared first on Vend Retail Blog.